The value of a research study cannot be realized until the results are disseminated and implemented. Yet dissemination of research is often inadequate and restricted.22 Most patients and caregivers are unaware of research unless it is highlighted by media outlets or they specifically search for it. And even when found, research published in articles that are behind paywalls becomes inaccessible to the wider public. Thus, the public relies on media reports that may sensationalize findings or must put significant effort into seeking out research on their own. The Research Loop can be a useful tool for researchers to understand how their studies are disseminated and implemented. The Research Loop feedback form asks patients and caregivers to self-report where they encountered the research and how it affects them. This information may help researchers find areas where dissemination efforts are working and where they can improve. It can also indicate how the findings might be implemented or where there are issues with implementation and translation of the findings into practice. In its current form, The Research Loop cannot disseminate research directly but does point patients and caregivers to resources where they can search for articles that might interest them. The site will also use social media and other patient and caregiver forums to disseminate research from time to time as appropriate. Additionally, The Research Loop will join efforts to push for open access to all research and will facilitate open access to the extent possible. 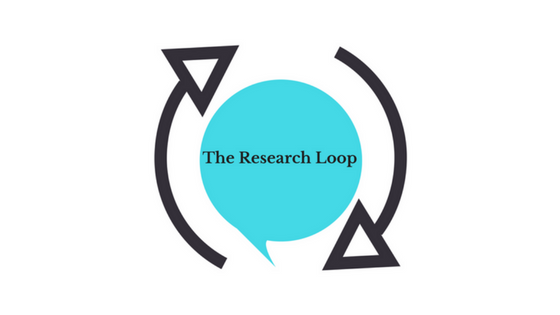 The Research Loop believes the feedback provided through the site can impact open access by proving to researchers and institutions the value of the patient and caregiver voice when patients and caregivers have the opportunity to read research that is not locked behind paywalls.